PVD coated stainless steel case 45.0 mm in diameter. Exhibition case back. 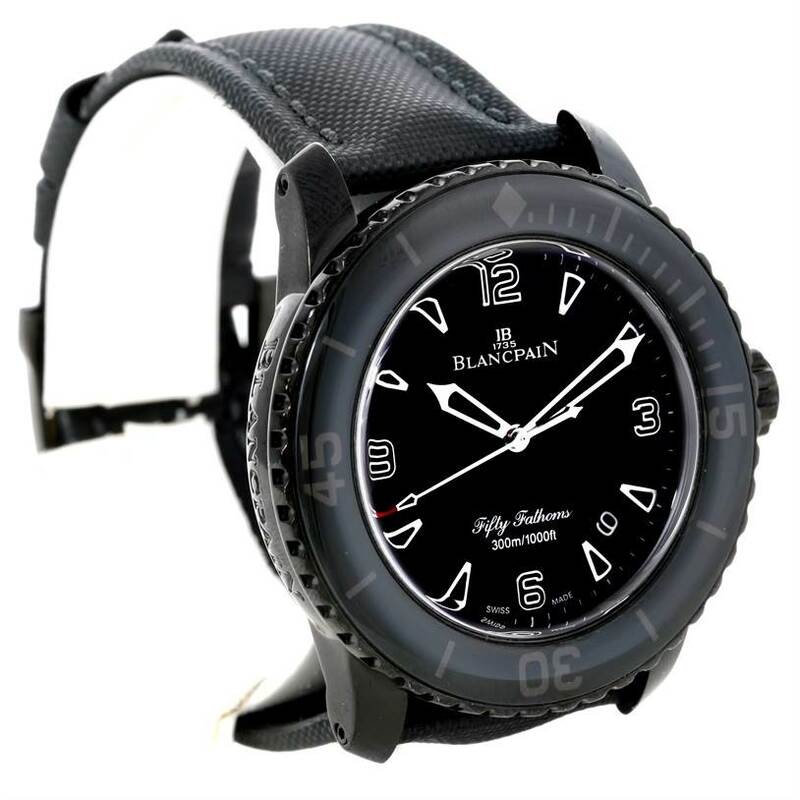 Uni-directional rotating black crystal covered bezel. 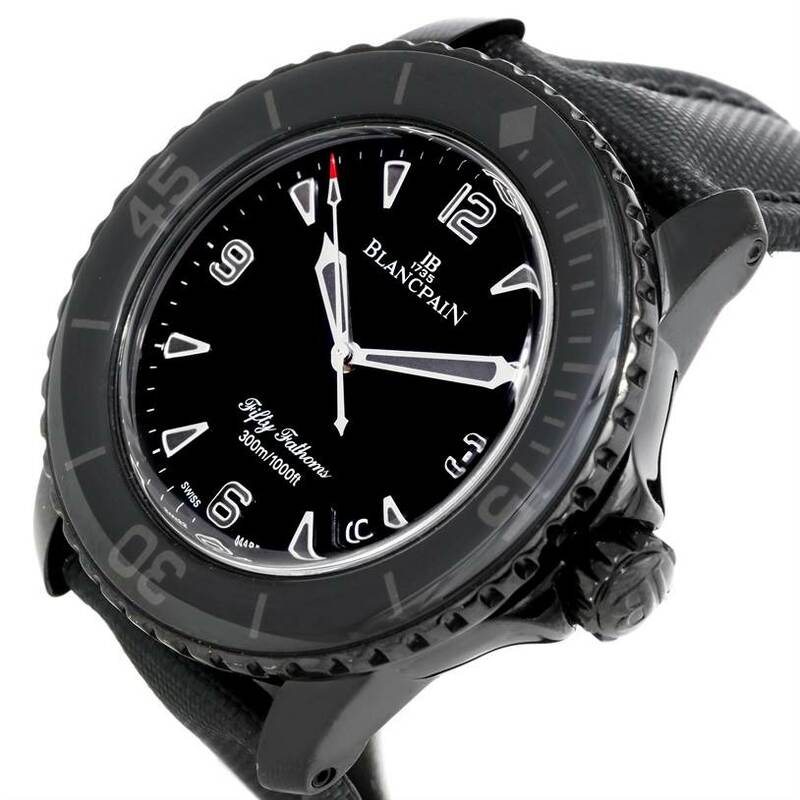 Black dial with luminous black-fill hands and index hour markers. Arabic numerals mark the 3, 6, 9 and 12 o'clock. Minute markers around the outer rim. Date window between 4 and 5 o'clock position. 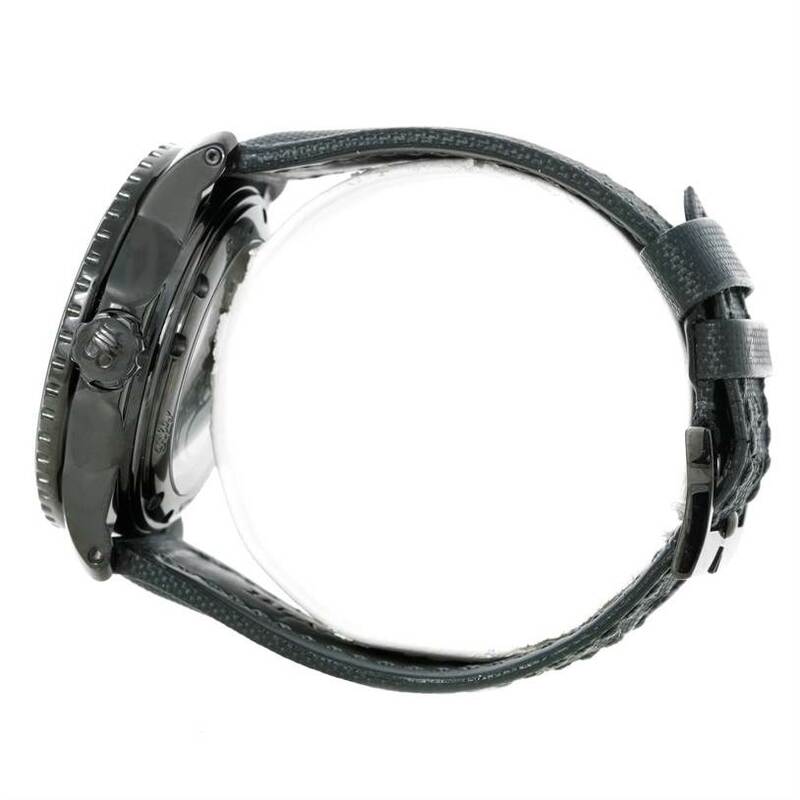 Black canvas strap with tang buckle. Excellent condition, small abrasion on the site of the case. Did you know that the Rolex Submariner was not the first modern diver's watch? 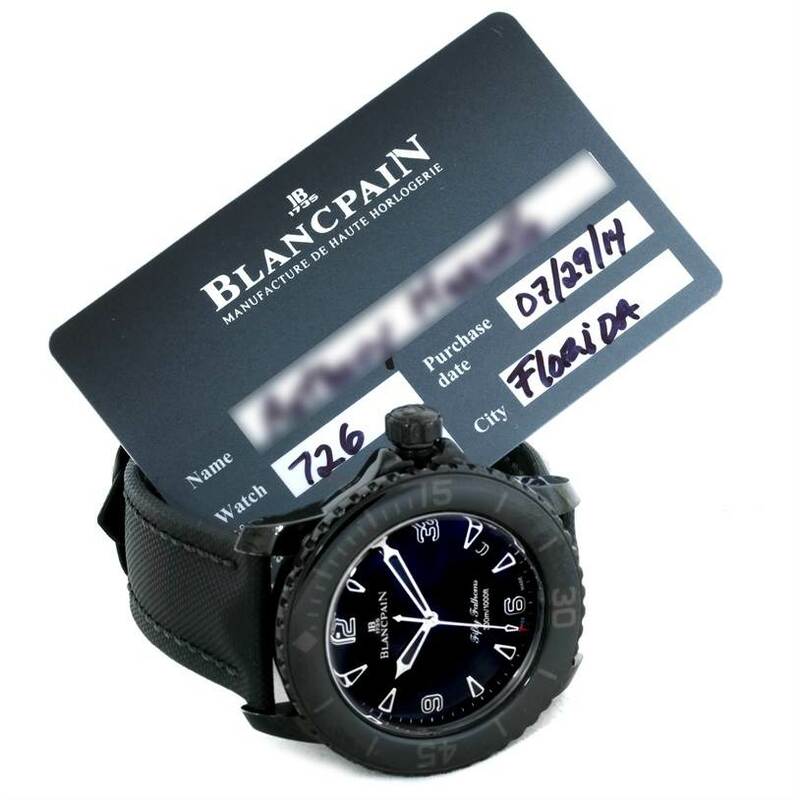 Blancpain has a bona fide history and place in the world of watchmaking. Not only is the company proud of their heritage of never having made or used quartz movements, but in 1953 created The Fifty Fathoms, the first modern diver’s watch. The company's passion for the underwater world has led them to accompany divers and underwater photographers in their exploration and discovery of the oceans’ fragile beauty. The company has gone above and beyond (or below and beyond) to contribute to the knowledge of this fascinating universe and to the motivation to protect it. 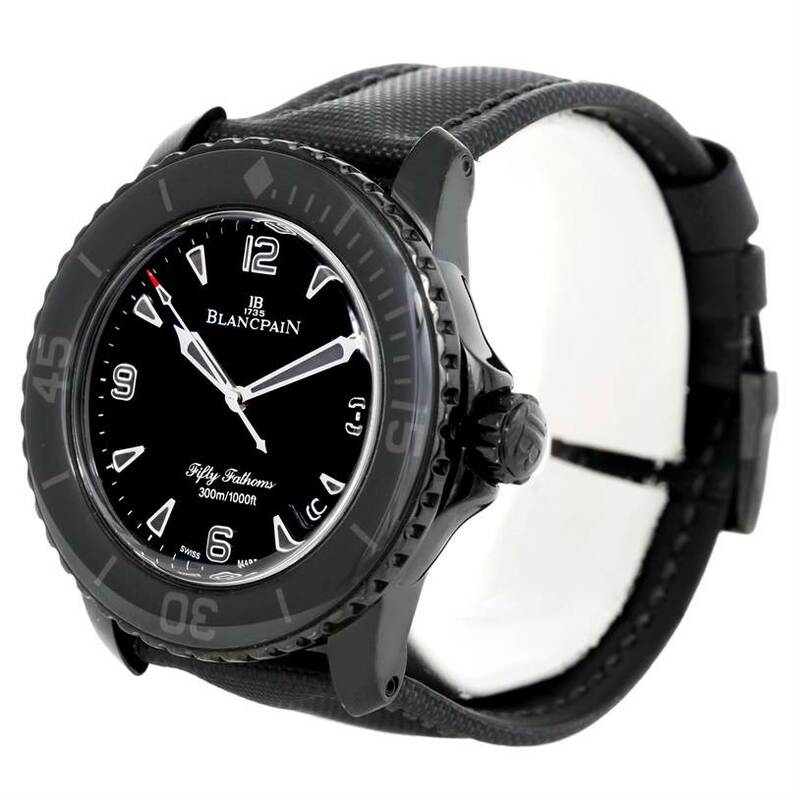 This amazing Fifty Fathoms Dark Knight Black PVD Watch 5015-11C30-52 model features all the main signature elements that established the reputation of its predecessor as a serious scientific instrument that can also be worn daily. In a robust 45mm case, coated in a factory-warrantied PVD, the movement features not one, not even two, but three mainspring barrels. 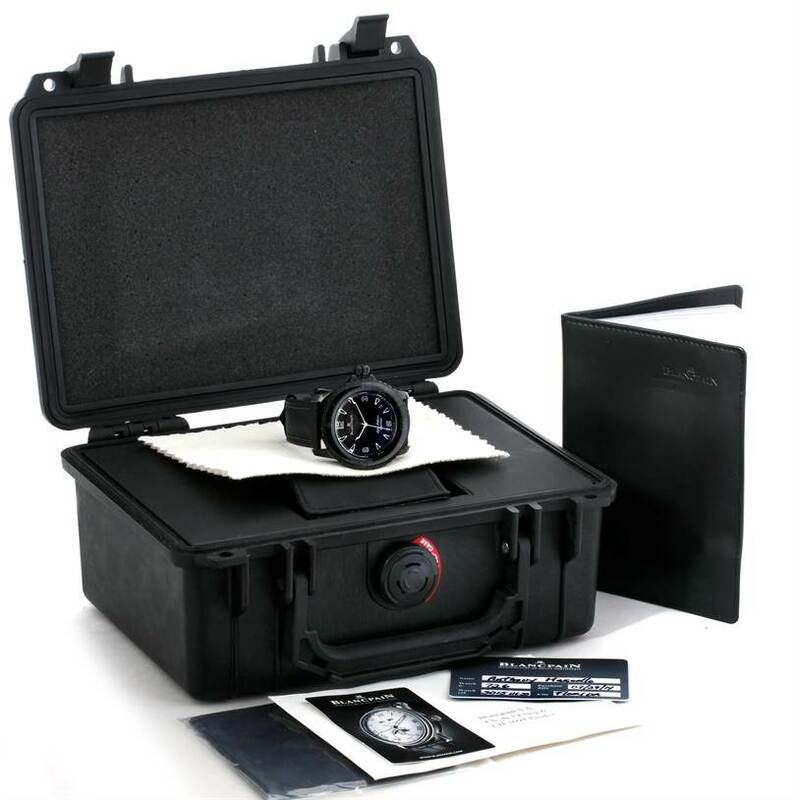 This makes the watch run extremely reliably and accurately, and it has a power reserve of a whopping 120 hours! 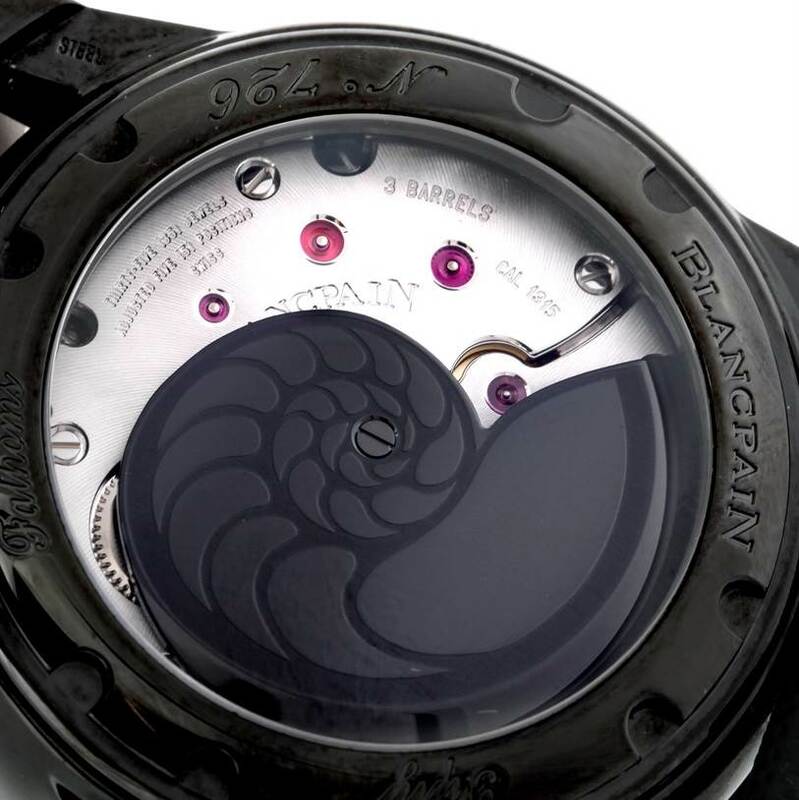 The exhibition case back lets you see all the action, including the nautilus-shell rotor, which Salvador Dali referred to as "divine geometry," because it grows in a logarithmic spiral echoed throughout nature. An interesting touch is that the bezel is not made of ceramic, like most dive watches now, but extremely scratch-resistant sapphire. 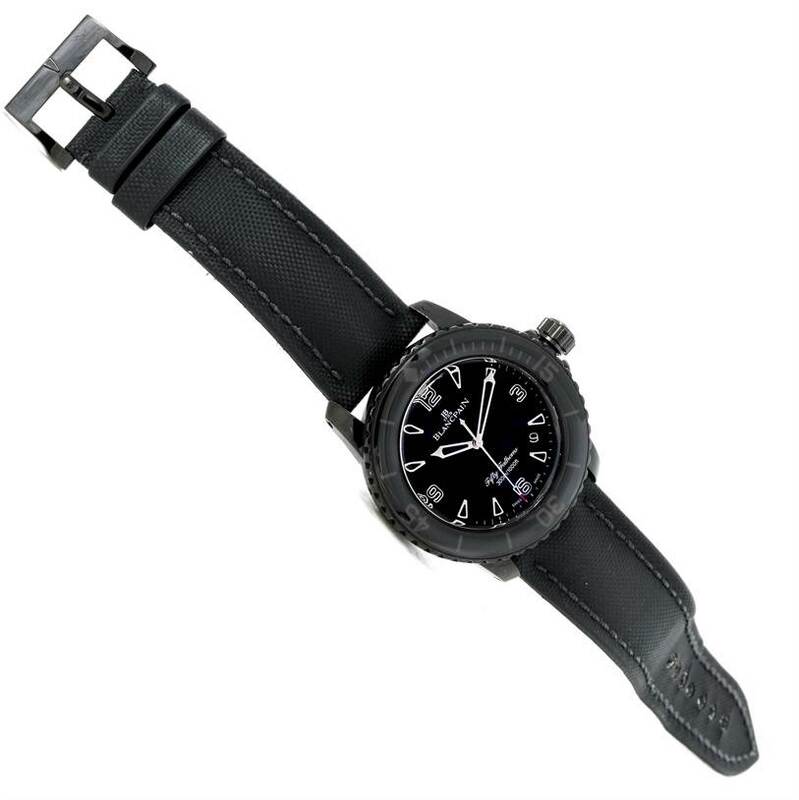 The Fifty Fathoms watch is legendary. Jacques Cousteau even wore one in the 1956 Cannes Film Festival Palme d'Or winning "The Silent World." Since then, it has always been an icon of adventure and respect for the depths, and this modern interpretation is both visually stunning and mechanically magnificent. 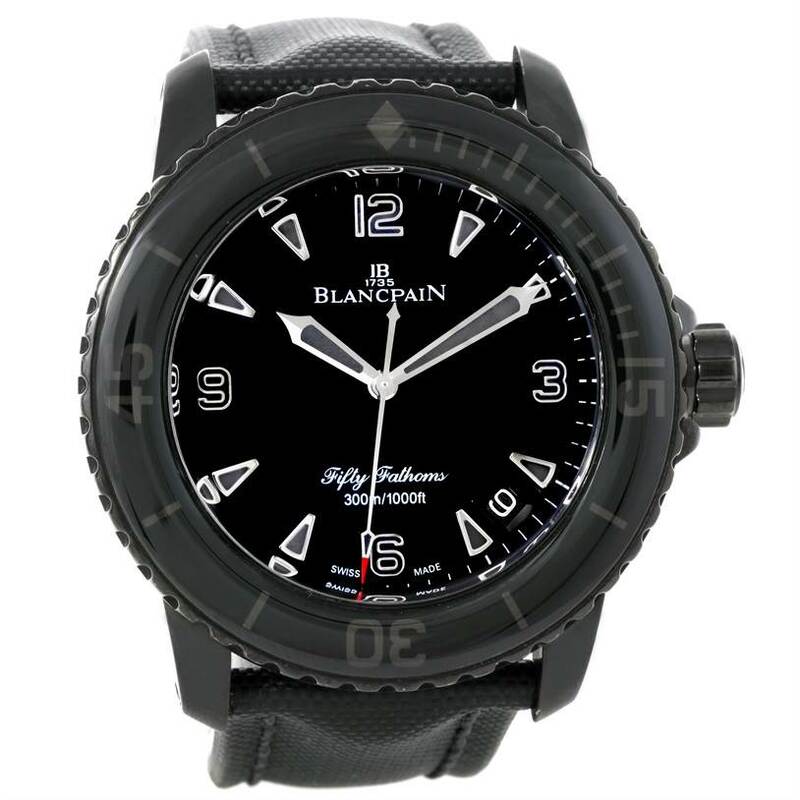 Blancpain Fifty Fathoms Dark Knight Black PVD Watch 5015-11C30-52. Automatic self-winding movement. PVD coated stainless steel case 45.0 mm in diameter. Exhibition case back. Scratch resistant sapphire crystal. 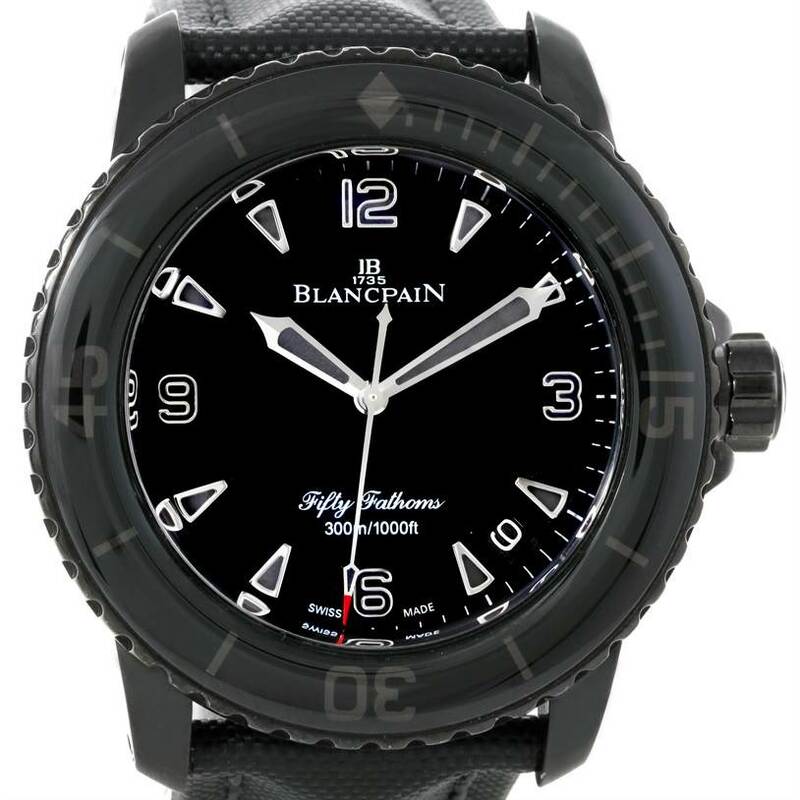 Black dial with luminous black-fill hands and index hour markers. Arabic numerals mark the 3, 6, 9 and 12 o'clock. Minute markers around the outer rim. Date window between 4 and 5 o'clock position. 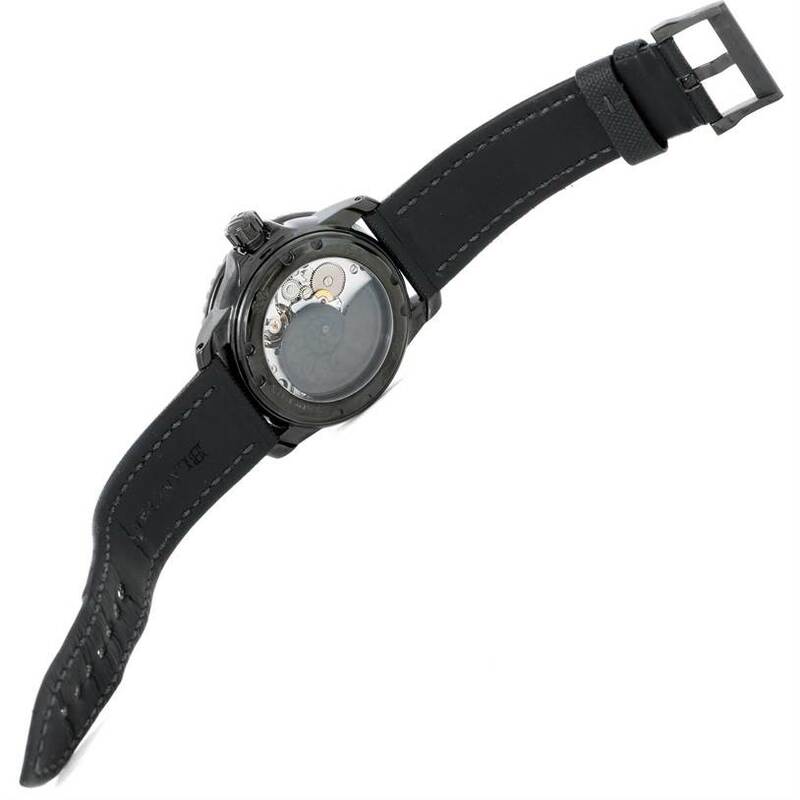 Uni-directional rotating black crystal covered bezel. 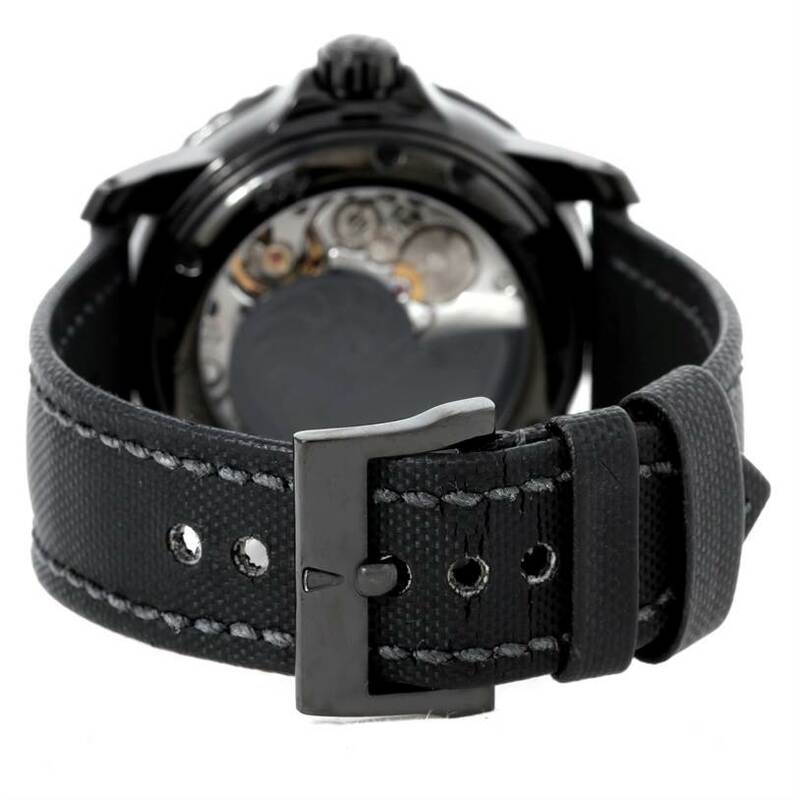 Black canvas strap with tang buckle.